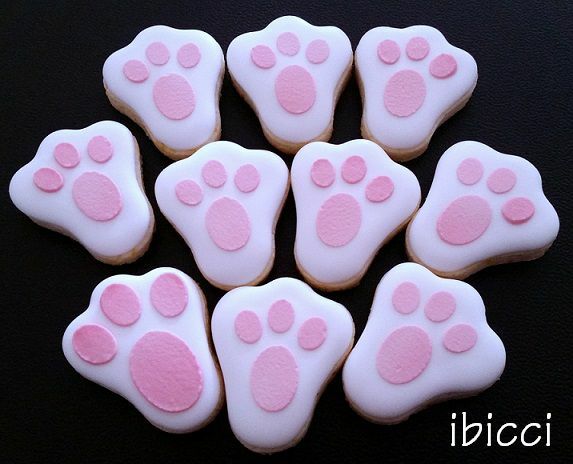 Bunny Paw Print stencil - 3 x 2"
Stencils are quick to use and enhance the cookies or cakes you are decorating. Common ways of using stencils are with magnetic frames such as the Stencil Genie or Stencil Snap, by using magnets on the corners of the stencils, or simply held by hand or with weights. Cake stencils can be taped, pinned or held in place with the use of net. ibicci stencils are primarily made for decorating cookies and cakes however the stencils can be used to apply designs on a wide variety of surfaces including paper, card, walls, wood, fabric, glass etc. 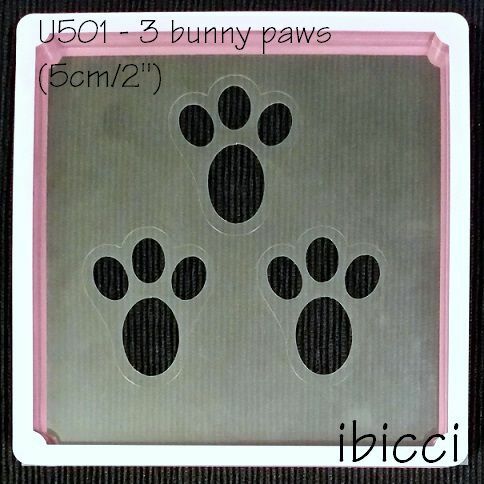 The ibicci Square stencils measure approximately 5.5" / 14.2cm square and fits the Stencil Genie as shown. ibicci stencils are made out of reusable, sturdy food safe .007mil plastic.